This entry was posted on December 27, 2010 by Russell Smith. 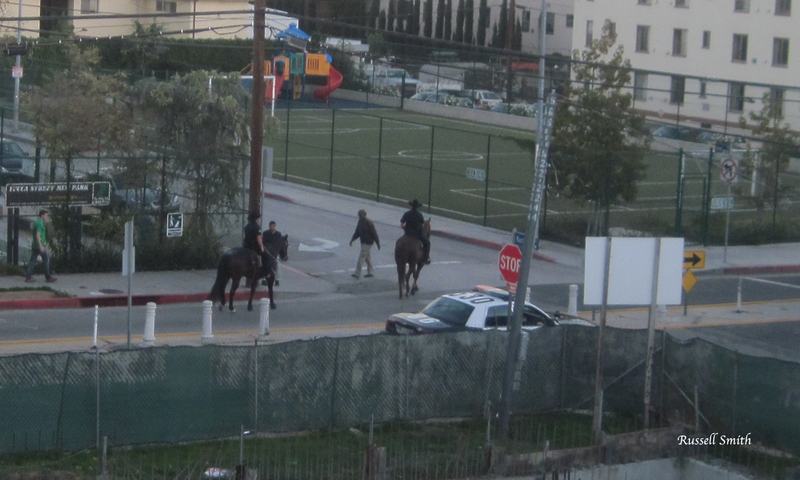 It was filed under Street and was tagged with cops, corner, horses, mounted, police, street intersection. They always have such large proud steeds. A pleasure to see them. In the old days, they would have been carrying knights in armor!